Analgesic (pain reliever), anti-inflammatory, antibacterial, antiseptic and stimulant. 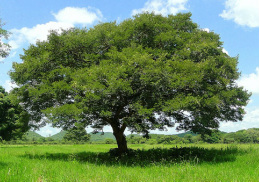 Copaiba essential oil is obtained from the oleoresin of the Copaiba tree. It contains the blood/brain barrier constituent sesquiterpenes along with having very high anti-inflammatory properties. This oil is gentle enough to use as a pain reliever for children and adults alike with no harmful side effects. Here is more information from Experience Essential Oils on this amazing oil. Apply topically with a carrier to area of concern or bottoms of the feet.